I’ve been an American Express Platinum cardholder for years. While the $450 annual fee is nothing to scoff at, I’m able to get way more than that in value every year. Off the bat, each calendar year you get $200 in airline reimbursements, and every 5 years you get a $100 rebate for Global Entry/TSA Pre-check. Plus, you get great perks like complimentary access to Delta SkyClubs and the new, swanky Centurion Lounges, which I love. 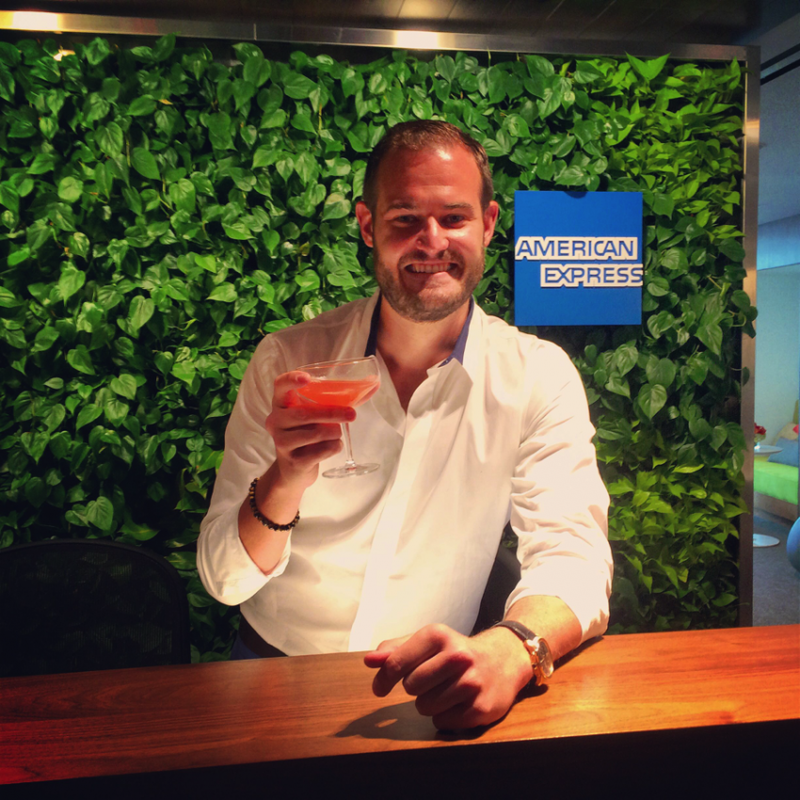 I’m a huge fan of the new Amex Centurion Lounges. Another benefit that I find useful is the Fine Hotels and Resorts program (FHR). You can book high-end hotels around the world and get great perks like early check-in, spa credits, and upgrades, and the best part is that you still earn hotel points if you’re staying at a hotel that participates in a loyalty program. I’m an SPG Platinum and highly value the points and the perks I get at Starwood properties, so I’m able to double dip—I get valuable perks for booking through FHR, and the hotel recognizes my Platinum status for further upgrades and complimentary platinum breakfast. So, for my first trip to Bali, I decided to put my FHR benefits to the test. I wanted to try different areas in Bali, so I decided to spend the first four nights at the St. Regis is Nusa Dua, and the final 5 nights at the W Bali. The W Bali showed points availability at 25,000 Starpoints per night (on a $500+ per night room), and SPG gives the fifth award night free, so the redemption was 100,000 points total for five nights. I decided to book the St. Regis using my Amex Business Platinum because FHR is currently offering a fourth night free promotion. American Express Fine Hotels and Resorts was offering the fourth night free at the St. Regis Bali. Complimentary 50 minute massage for two people once during the stay (I checked the spa menu and a 60 minute massage is $100, so I value the two 50 minute massages at about $175 total). 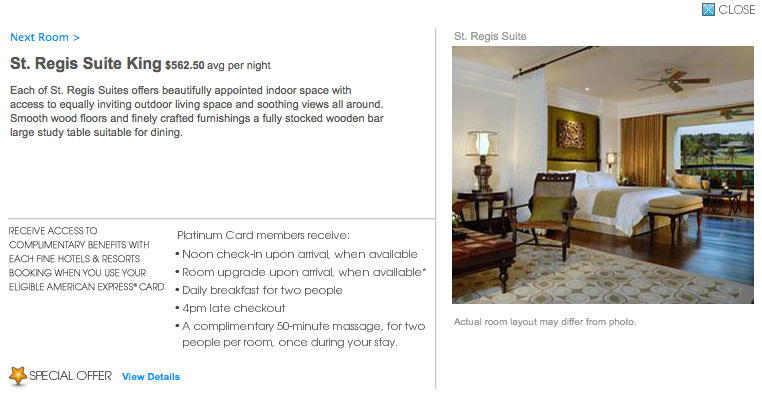 I decided to book a St. Regis King Suite. That alone is over two years of the annual fee without taking into account any of the other benefits. While there were some negative changes to Amex Platinum benefits earlier this year, Fine Hotels & Resorts is one of the reasons why I continue to keep it in my wallet year after year.